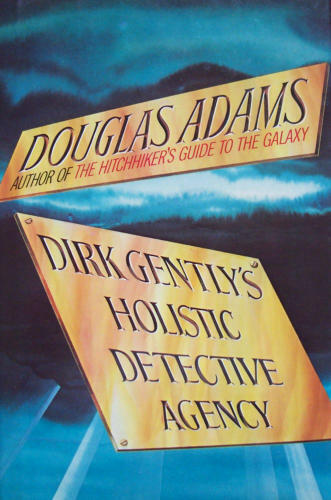 What do a dead cat, a computer whiz-kid, an Electric Monk who believes the world is pink, quantum mechanics, a Chronologist over 200 years old, Samuel Taylor Coleridge (poet), and pizza have in common?Apparently, not much: until Dirk Gently, self-styled private investigator, sets out to prove the fundamental interconnectedness of all things by solving a mysterious murder, assisting a mysterious professor, unravelling a mysterious mystery, and eating a lot of pizza - not to mention saving the entire human race from extinction along the way (at no extra charge).To find out more, read this book (better still, buy it and then read it) - or contact Dirk Gently's Holistic Detective Agency. 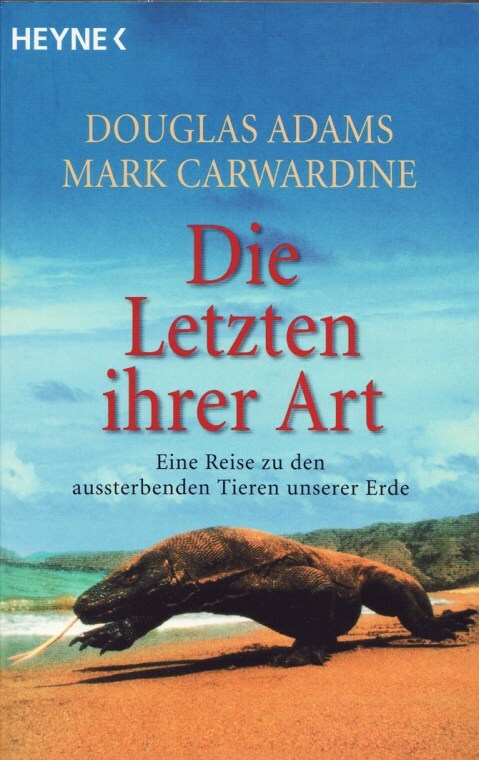 SAVIEZ-VOUS…que la plan?te Terre doit ?tre d?truite d’ici deux minutes ?SAVIEZ-VOUS…que votre meilleur ami est peut-?tre natif de Betelgeuse ?SAVIEZ-VOUS…que la po?sie des vogons est vraiment ex?crable ?SAVIEZ-VOUS…que le Pr?sident de nla Galaxie est peut-?tre moins idiotqu’il n’en a pas l’air (ou l’inverse) ?SAVIEZ-VOUS…quelle est la r?ponse ? la Question fondamentalede la Vie, de l’Univers et du Reste ?SAVIEZ-VOUS…que vous tenez en ce moment ce bouquin ? 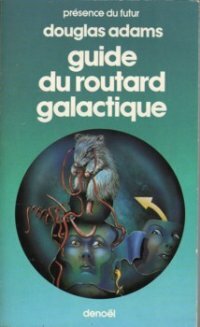 l’envers ?Ce Guide du routard galactique a r?ponse ? tout ! 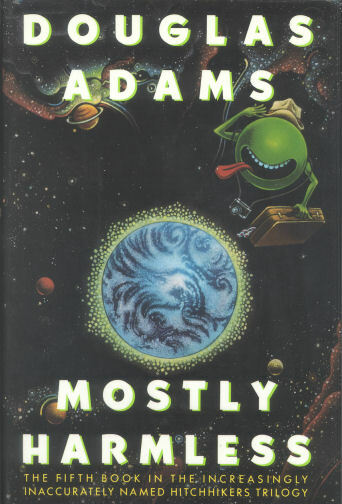 After adapting his Hitchhiker's Guide to the Galaxy scripts from the BBC radio series into two successful novels, author Douglas Adams reshaped a rejected "Doctor Who" script he'd written into this third novel in the original trilogy. 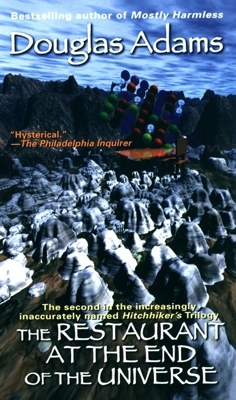 Reluctant space traveler Arthur Dent finds himself drawn into a race to save the universe from the people of Krikkit, who, upon discovering that they're not alone in the universe, set out to destroy it.In consequence of a number of stunning catastrophies, Arthur Dent is surprised to find himself living in a hideously miserable cave on prehistoric Earth. However, just as he thinks that things cannot possibly get any worse, they suddenly do. 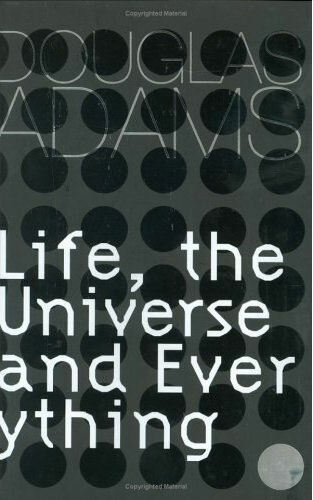 He discovers that the Galaxy is not only mind-bogglingly big and bewildering, but also that most of the things that happen in it are staggeringly unfair. 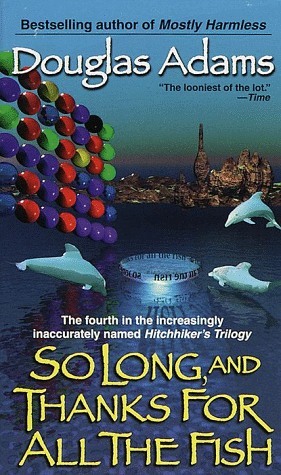 The quest continues in the fourth volume in the ever-popular series. Against all odds, at the eleventh hour, and in the unlikeliest place of all, the intrepid Arthur Dent finds the girl of his dreams. After eight years and about 100,000 lightyears of intergalactic travel, he is looking a little down-at-the-heels himself, and she is heavily sedated because she thinks she is a hedgehog. She is also in the company of a brother that Arthur wouldn’t wish on a Vogon. But they are both in search of God’s Final Message to His Creation, and hey, this time they might actually find it. When a passenger check-in desk at Terminal Two, Heathrow Airport, shot up through the roof engulfed in a ball of orange flame the usual people tried to claim responsibility. First the IRA, then the PLO and the Gas Board. Even the British Nuclear Fuels rushed out a statement to the effect that the situation was completely under control, that it was a one in a million chance, that there was hardly any radioactive leakage at all, and that the site of the explosion would make a nice location for a day out with the kids and a picnic, before finally having to admit that it wasn't actually anything to do with them at all.No rational cause could be found for the explosion - it was simply designated an act of God. 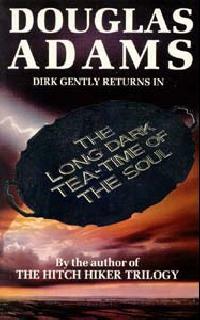 But, thinks Dirk Gently, which God? And why? What God would be hanging around Terminal Two of Heathrow Airport, trying to catch the 15.37 to Oslo?